Like many of our staff here, Maura is also a CFJ student alumni who has been a part of the CFJ family for over a decade. For many years she worked in the San Jose office first as a youth organizer in high school then as a college intern and finally came on staff before transferring to SFSU to pursue a double major in Spanish and Latino/a studied. During her time there she served as vice president of the Ethnic Studies Research and Empowerment Center. 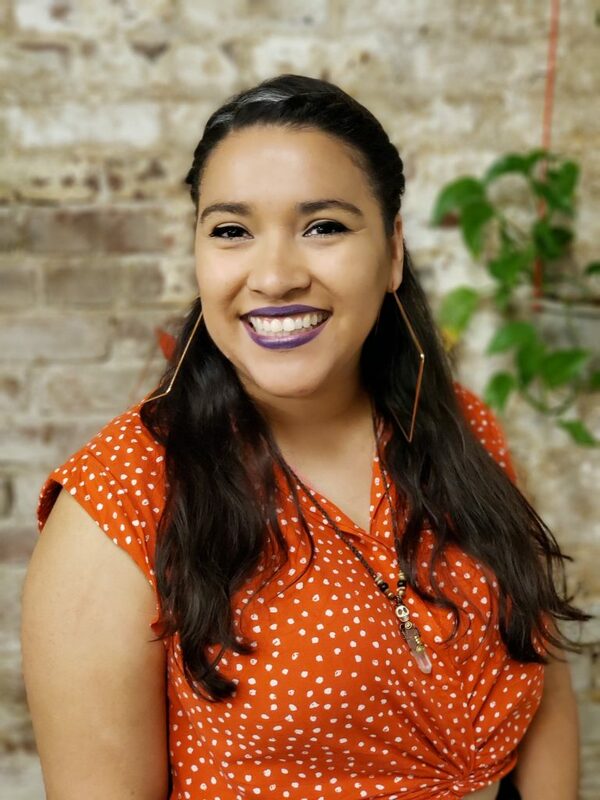 Before coming back to CFJ Maura worked with various orgs like TIGRA, a transnational organization that works with the Filipino and Latinx immigrant community to empower them to use their economic citizenship to create change in their community. She also worked with the Alliance for a Just Society gathering data to address issues around access to healthcare for low income communities and was able to travel all over the U.S. She now works in the Oakland office as an organizer who focuses on Leadership development as well as recruitment at Oakland High. In her free time you can catch her hanging out with her three- year old niece or screen printing social justice images with Taller Girasol.